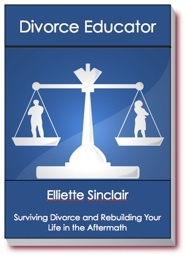 The Minnesota Divorce Section will provide a resource directory of focused professionals. Lawyers, mediators, negotiators, counsellors, accountants, financial planners and other professionals providing all the information you will need to assess your position and take the necessary steps to successfully navigate your divorce. Child custody, child support, visitation arrangements, alimony, division of assets and debts, while similar, are different in each state. Minnesota divorce laws for people considering a Minnesota divorce or filing a Minnesota divorce with issues to be resolved about child custody, child support, visitation and alimony. Minnesota statutes can be viewed at http://www.revisor.leg.state.mn.us/. Statutes cover but are not limited to the following subjects. These definitions will help you understand some unique characteristics to the Minnesota Dissolution of Marriage laws, process and paperwork which is filed with the court. Filing Party Title: Petitioner-The spouse who will initiate the Dissolution of Marriage by filing the required paperwork with the court. Non-Filing Party Title: Respondent -The spouse who does not initiate the Dissolution of Marriage with the court. Court Name: State of Minnesota, District Court, County of ____________, __________ Judicial District- The proper name of the court in which a Dissolution of Marriage is filed in the state of Minnesota. Each jurisdictional court typically has a domestic relations or a family law department or division. http://www.dhs.state.mn.us/ecs/ChildSupport/Default.htm -The state run office devoted to enforcing existing child support orders and collecting any past due child support. Initial Dissolution of Marriage Document: Petition for Dissolution of Marriage -The title and name of the legal document that will initiate the Minnesota Dissolution of Marriage process. The filing spouse is also required to provide the non-filing spouse a copy of this document. Final Dissolution of Marriage Document: Finding of Fact, Conclusions of Law, Order for Judgment and Judgment and Decree -The title and name of the legal document that will finalize the Minnesota Dissolution of Marriage process. This document will be signed by the judge, master, or referee of the court to declare your marriage officially terminated. Clerk’s Office Name: County Clerk’s Office -The office of the clerk that will facilitate the Dissolution of Marriage process. This is the title you would address letters to or ask for when contacting the courthouse. Legal Separation: The grounds for a legal separation in Minnesota are that it will be granted if the court finds that the spouses need a legal separation. One of the spouses must have been a resident of Minnesota for at least 6 months before the petition for legal separation is filed. [Minnesota Statutes Annotated; Chapters 518.06 and 518.07]. Property Distribution: Equitable Distribution -The applicable Minnesota law that will dictate how property and debt is to be divided upon Dissolution of Marriage.